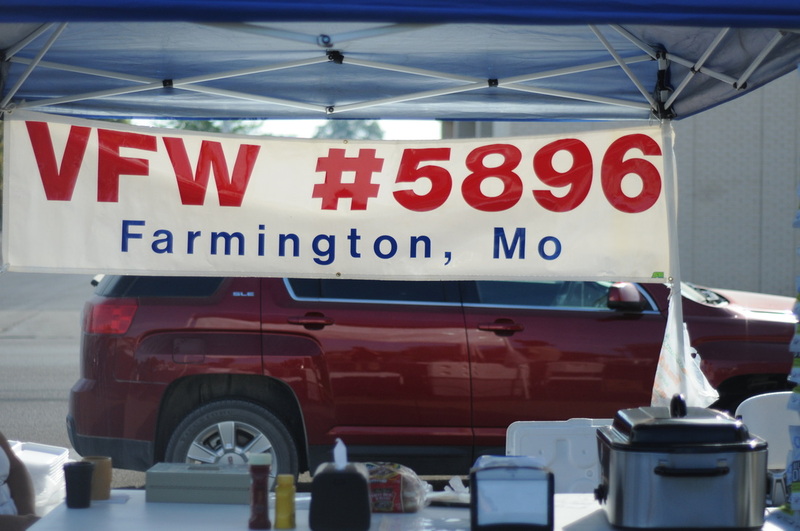 September 27 -- Near perfect weather helped bring out a nice crowd for this year's Fall Festival which is sponsored by the Farmington Downtown Development Association. Among the attractions were arts and crafts provided by vendors, the live Dive Brothers band, and various special activities offered by retail and restaurants in the downtown area. New this year was an antique car show sponsored by the African-American Masonic Cemetery Preservation Association at the Courthouse Annex parking lot. The St. Francois County 4-H held a pumpkin weigh-in to find the largest one in the area to participate in this event. In addition, both pumpkins and gourds were offered for painting on the patio of Sticky's USA Cafe on the Courthouse square. 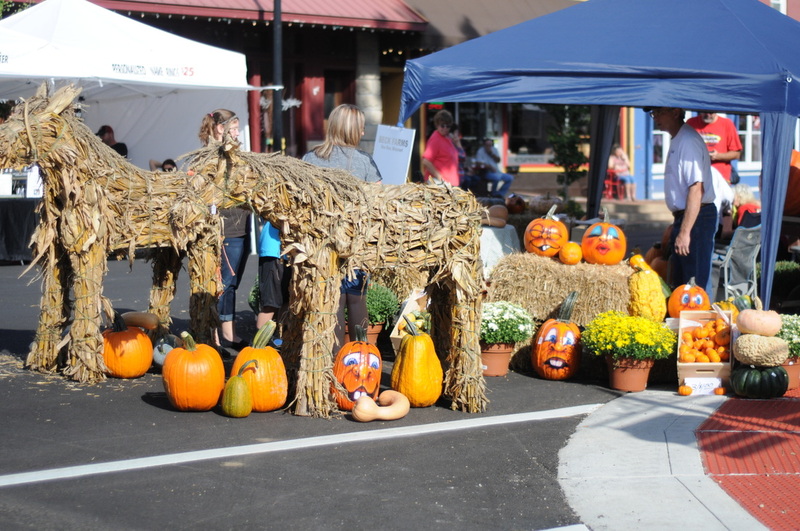 One of the highlights of the festival was the Scarecrow Decorating Contest sponsored by KREI / KTJJ radio stations. Proceeds from the registration fee are donated to the Help the upcoming Hungry Bake Sale. 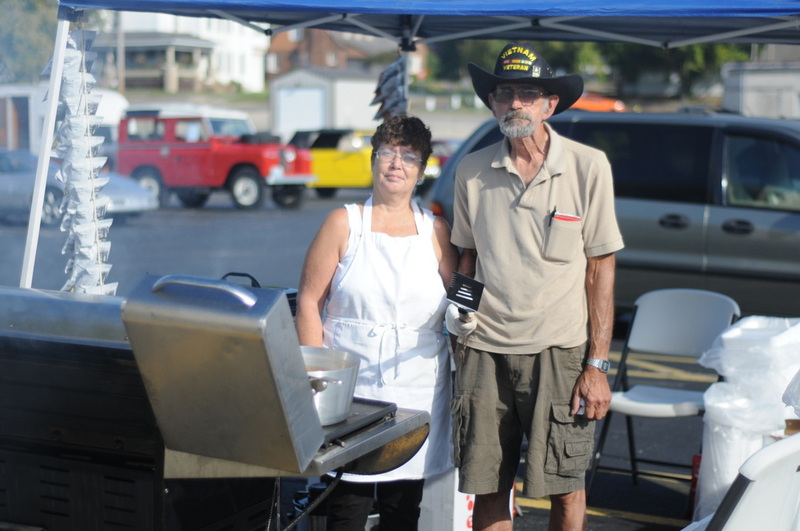 VFW members Tom Rector, Senior Vice President, and Connie Pulliam, Madam Chaplain, of Post 5896 manned a cookout stand at the car show.